Turtle Beach has announced that it will be the Official Partner of the Blast Pro Series Copenhagen tournament. Taking place in Copenhagen, Denmark, the tournament will showcase six of the world’s top Counter-Strike: Global Offensive teams. “We entered into the PC gaming market this year with our all-new Atlas headsets and a plan to support top PC players, teams and events like Blast Pro Series,” said Andrew Lilien, Vice President of Marketing, Turtle Beach. The six CS:GO teams set to compete at the upcoming Blast Pro Series Copenhagen tournament are NaVi, NiP, FaZe Clan, Cloud9, MIBR and Astralis. Cloud9 won the first 2018 Major, and Astralis enter the tournament as reigning Major champions, and Blast Champions. “We’re thrilled to have Turtle Beach joining us in Copenhagen,” said Jakob Lund Kristensen, EVP Sales and Co-Founder of RFRSH Entertainment. 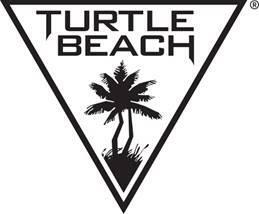 For more information, visit https://au.turtlebeach.com/.